An internal report by the Revenue Commissioners has spelled out the enormous physical and economic impact Brexit will impose upon both Ireland’s customs infrastructure, and on the tens of thousands of companies who trade with the UK. The unpublished report, seen by RTÉ News, sets out in stark detail the vast increase in paperwork, human resources and physical space requirements at ports and airports. The report also declares that an open border between Northern Ireland and the Republic will be impossible from a customs perspective. A year before Brexit, the Revenue Commissioners began exploring the potential impact on the customs interface between Ireland and the UK. 91,000 Irish companies trade with the UK. After Brexit, their customs declarations will mean an 800% increase in volume. That will mean special permits, extra investment, more paperwork and potential delays. Ports and airports will need extra infrastructure, such as temporary storage facilities for customs clearance. Revenue itself will need a big increase in staffing levels. For traders, the report says, the administrative and fiscal burden cannot be underestimated. Even the Ploughing Championships will be hit, since heavy equipment brought over from the UK will need to be declared under a Temporary Importation Procedure. Extra staff will be needed at An Post to manage customs checks on parcels coming in from the UK. Even smaller regional airports will now need customs infrastructure. 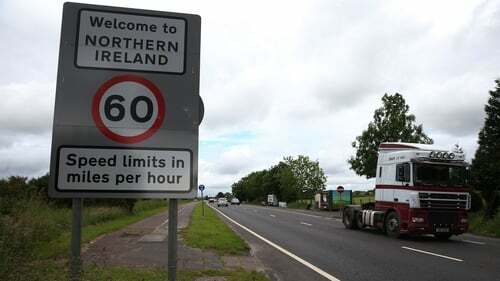 The report says that every day 13,000 commercial vehicles cross the Irish border. Critically, it says a completely open border is not possible from a customs perspective, and it would be naive to believe a unique arrangement can be found. The Revenue Commissioners report into the implications of Brexit was updated several times after the referendum and has remained an aide-memoire as officials come to terms with the potential effects. The report states: "Once negotiations are completed ... the UK will become a third country for customs purposes and the associated formalities will become unavoidable. "While this will affect all member states, the effect will be more profound on Ireland as the only EU country to have a land border with the UK." Among the most pressing concerns is the fact that transforming Ireland’s customs infrastructure will take time and investment. However, the Revenue Commissioners are hamstrung in that Britain’s ultimate intentions are unclear. The report spells out the existing options that govern both Norway and Switzerland’s trading relationship with the EU, as well as the recent free trade agreement with Canada, known as CETA. "At some point a similar arrangement between the EU and UK is conceivable," the report says. However, negotiating and implementing a similar deal in the Article 50 timetable [ie, the two year divorce talks] would be "extremely challenging". The report says that if Britain exits the negotiations without agreement, trade between the EU and the UK would be conducted under World Trade Organization (WTO) rules. Under the WTO fallback, the report states, "all UK goods entering the EU would be subject to a default range of tariffs ... It has to be assumed that broadly similar tariffs would apply to EU goods entering the UK". In 2015, €17.8bn goods were imported from the UK. "As all of these goods will be subject to the Customs Import Procedure in the post-Brexit era, the administrative and fiscal burden on the traders involved cannot be underestimated," says the draft. Traders importing goods from the UK will require a range of paperwork, including an ENS, or a safety and security entry summary declaration. This must be lodged for all goods where Ireland is the first port of arrival into the EU. The ENS will contain information on the company sending the goods, the company receiving it, and the carrier, the transport document references, where the goods were loaded and unloaded, and a detailed description of the goods. All goods brought in will have to be presented to customs immediately upon arrival at a pre-designated customs office, or a temporary storage facility. In Ireland this can be done by lodging an e-manifest. Post-Brexit this manifest will be fully processed, and the goods will not be released "until all customs formalities have been completed". The report adds: "Presentation in a land frontier scenario [ie, the border] is likely to require both a form of electronic notification as well as physical arrival of goods at a designated customs station." The moment goods arrive they will be deemed to be in "temporary storage". "In order to end Temporary Storage the goods must be placed under a customs procedure or re-exported." The goods can not remain in temporary storage for more than 90 days. If they have not been released for a customs procedure or re-exported they "will incur a customs debt". The Revenue Commissioners anticipate a significant increase in what is called Temporary Importation because of the land border and the proximity of Great Britain. "Although a relatively uncommon procedure at present, Temporary Importation is likely to see a major growth," says the report. "Given our geographical proximity to the UK, the temporary movement of goods between the two states is very significant." The report highlights the three-day National Ploughing Championship, which sees "a significant volume of equipment moved into Ireland from Northern Ireland and the UK for the duration of the event. If the UK were no longer in the EU, all of these products would need to be declared under the Temporary Importation Procedure with guarantees of ATA carnets required for the period of Importation." The report adds: "In addition to the routine processing of the associated declarations, EU customs procedures would require a significant level of checking to ensure the re-export of these goods at the conclusion of the Temporary Importation period." The report also highlights the frequent movement of construction equipment, "or even just tools", which currently moves "a few miles over and back across the border with Northern Ireland today". "Given that these temporary movements would now be across the border of the EU customs territory, controls would be unavoidable," the draft states. Exporters will also face a major burden if the UK is outside the EU Customs Union. In 2015, €15.5bn in goods were exported by Ireland to the UK. Post-Brexit, any goods exported from the customs union to a non-EU country will have to be placed under the export procedure. "The administrative and fiscal burden on the traders involved will be significant," the report says. Similar paperwork and electronic procedures will be required for exports as for imports. "This extra layer of formalities for movements that are currently intra-union movements will not only place a considerable administrative burden on traders, it will also have a negative impact on trade flows and delay the release of goods," says the report. When they arrive in the UK they will have to be declared for import. Irish rules for import and export declarations are determined under EU law. The UK will have to "determine exactly what data they need in respect of each transaction and in what format it should be lodged". This will mean another administrative burden and will require carriers and exporters to have access to whatever systems British customs officials develop for such declarations. The Revenue report says that duties imposed on UK goods will be calculated as a percentage of the customs value of the goods. The percentage rate depends on the type of goods. These rates will be set by the EU, and will depend on what kind of trade agreement is reached with the UK post-Brexit. "In the absence of a trade agreement duty will apply to all goods being imported to Ireland from the UK." Any goods being exported to the UK would be subject to UK import duty. The control and setting of those duties will revert to the UK government. Import duty will be calculated automatically and collected through the Revenue Commissioners' Automated Entry Processing (AEP) system as part of the validation of the electronic customs declaration. This means that importers will have to apply for an AEP account. Payments may be made by direct debit or by Immediate Payments on Account. There will be further complications for shipping. When goods are shipped from one EU member state to another they maintain their EU status. They get they status because they have applied for it and it's restricted to ships that operate solely between EU ports. "Ships plying their trade between the UK and Ireland will no longer be able to benefit from the arrangements currently in place, leading to additional compliance costs for operators," the report states. Overall, the potential explosion in customs declarations will mean a huge increase in paperwork for traders and Revenue. "The actual scale of the increased activity is unknowable," the report says. Senior official suggests says it could end up being a multiple of between 10 and 30. One problem is that imports from the UK tend to be small, mixed consignments, each of which might attract a separate tariff. "A far greater number of small consignments, each requiring an individual customs transaction, may be involved in our UK imports than would be the case with current third country supply chains," the report suggests. There are currently 1.1 million import declarations. Revenue estimates there would be a doubling of this number. Current control rates are 9.4% which so that would mean an extra 90,000 declared articles requiring documentary controls, and 25,000 needing physical controls. In terms of export controls, the report estimates a 40% increase. "Export control rates are lower than in the case of imports but an additional 6,000 consignments would require examinations of documents and or the goods themselves." The report also says Brexit could pose grave implications for the aviation sector. It says that in 2014 there were 8.6 million passenger trips to Ireland. 3.5 million, or 41%, were from the UK. Of 7 million outward trips, 3.5 million were to the UK, excluding Northern Ireland. "This would mean that the number of passengers [both air and sea] arriving from the UK and potentially in possession of prohibited goods or with goods in excess of duty free allowances may exceed our existing customs control capacity," the report says. The vast majority of traffic, particularly third-country traffic, involves Dublin, Shannon and Cork, where customs infrastructure currently exists. However, smaller airports may now have to introduce customs facilities. "Any such approvals could lead to the requirement for an additional, if not permanent, customs presence at such airports, eg Weston, Knock and Kerry." In addition "the control of a plethora of smaller aerodromes would become a more challenging task for regional enforcement teams in light of their current use by flight emanating from both Northern Ireland and the UK mainland." In 2015 some 2.8 million passengers travelled from the UK to the Republic by ferry. "This... will result in a substantial increase in the requirement for customs clearance of passengers at Dublin and Rosslare." Irish ports handled 12,000 vessels carrying 46.7 million tonnes of goods in 2013 of which 60% was bulk, 12.1 million was roll-on roll-off, and 6.2 million tonnes was load on, load off (31.4 million inward and 15.3 million outward). Existing customs freight handling processes at major ports "can probably be scaled up to deal with increased activity", but there could be "significant challenges at both Dublin and Rosslare in terms of dealing with roll-on, roll-off traffic." "Existing physical infrastructure and traffic streaming are likely to be stretched, if not overwhelmed, but the increased demand fo customs controls." In terms of road traffic, there are approximately 30 million vehicle crossings each year on the main routes between Northern Ireland and the Republic each year. The report adds: "It is probably somewhat naive to believe that a new and entirely unique arrangement can be negotiated and applied to the EI/UK land frontier." A final scenario of eight crossing points is "not inconceivable". "The staffing and infrastructure costs..., along with the physical infrastructure required to facilitate efficient processing at these sites, will make this a significant project." "At some point it may be possible to have an arrangement with the UK similar to that in place between Sweden and Norway, whereby at minor crossings there is only one customs station on one particular side and a bilateral agreement allows the customs officers of one country to carry out clearance checks for both countries. "It should be noted that there are customs offices at both sides of the border at the main crossing points between Sweden and Norway. Any such arrangement would require extensive retraining of customs officers from both jurisdictions in order to comply with both EU and UK legislation and is probably not a priority in the initial stages of Brexit as any related efficiencies are more to the benefit of customs than trade." The report explores certain hi-tech options. There could be e-flow style number plate recognition allowing goods vehicles to move without having to stop in cases where a pre-departure/arrival declaration has been lodged and green-routed. A vehicle could be identified by the ANPR system associated with a particular pre-declared consignment and signalled as to whether clearance has been provided. "For a system of this nature to work with maximum effectiveness it would require an interface between both countries' electronic systems and it is unclear whether any such system could be commissioned and installed in the time available. "A detailed analysis of the cost/benefit and the associated technical challenges is required before the practicality of such a regime can be evaluated. "A particular issue in this regard may be the logistical challenge of placing permanent controls on the M1 route from Dublin to Belfast." The report warns that the Irish authorities will have to monitor the flow of animal and animal products, including feed, across the border from Northern Ireland. "Customs cannot permit the release into free circulation of goods or animals not already cleared by the relevant co-located Border Inspection Post." There will also be an implication for mail. There are currently 20 customs officers at mail centres assessing non-EU post, carrying out prohibition and restriction controls. 50% of the post coming into Ireland comes from the UK. The report says: "We would need to increase the number of customs staff carrying out controls at the three postal depots by at least double to cope with these volumes." 18,000 parcels arrive in Portlaoise Mail Centre every week from the UK and NI with 128,000 pieces of correspondence processed in Dublin Mail Centre. A spokesperson for the Department of Finance has said that the report was an internal working paper prepared immediately after the Brexit vote as a first technical look at possible administrative implications. They added: "It was never finalised as a Revenue report, and was not a statement of Revenue’s views. "In any event, it dates from September 2016, before Article 50 was triggered and it predates the many developments and papers that have issued this year. "Thinking has now moved on very significantly. In May of this year, the Revenue Chairman told a Joint Oireachtas Committee that Revenue is not considering any new customs posts. "The Government has consistently said that the best outcome would be for the UK to remain in the customs union and the single market. "The Taoiseach has also said there cannot be a return to any border on this island. Ireland will continue to work closely with the Commission Task Force and our EU partners to seek the best possible outcome to the ongoing EU-UK negotiations."